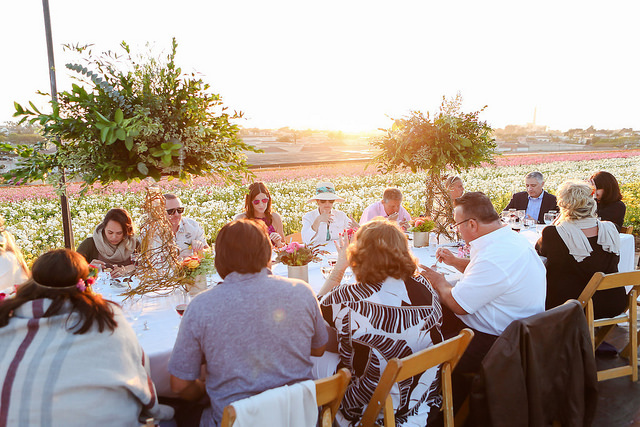 The word “magical” comes to mind as the best description of the 2017 American Grown Field to Vase Dinner Tour. It’s a word we’ve heard over and over from guests who have attended the first three of seven dinners on this year’s tour. 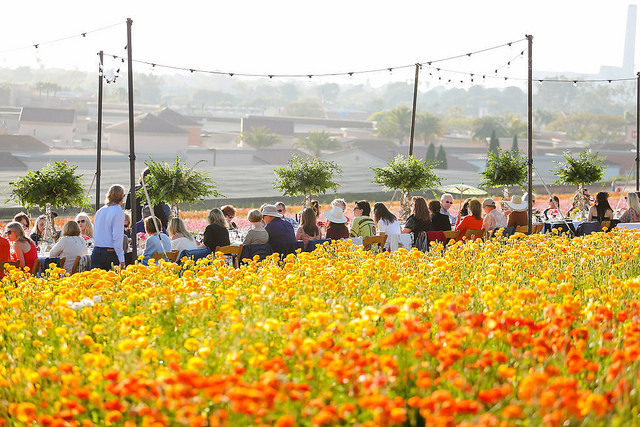 The magic continued on the third stop of the tour at The Flower Fields in Carlsbad last month where a sold-out crowd enjoyed a wonderful dinner by Chef John Miller of Bistro West while overlooking a sea of ranunculus that seemed to trail off into the Pacific Ocean. 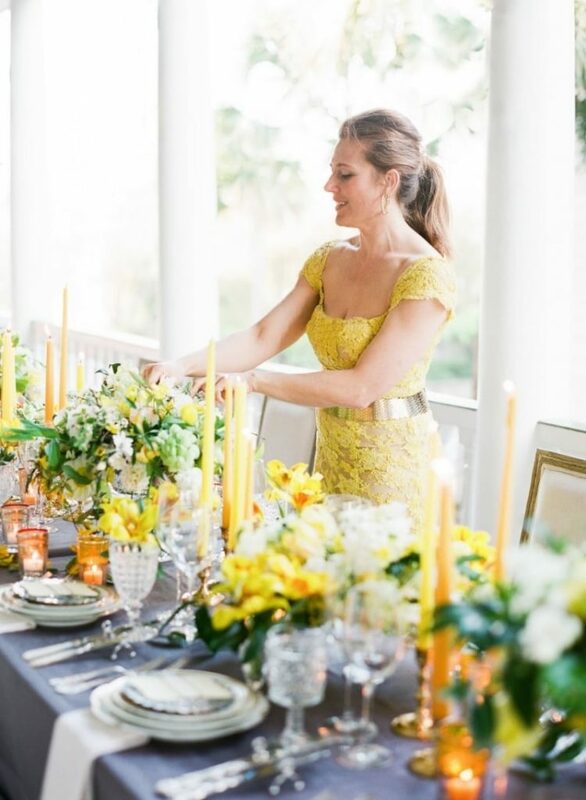 “Flower Chef” Carly Cylinder and her team of designers had guests in awe with their towering designs of greenery, which also served as an enchanting canopy over the table filled with American Grown Flowers. Cylinder shared her passion for designing with American Grown Flowers with the crowd and went live on Facebook with American Grown Flowers social media guru Niesha Blancas. 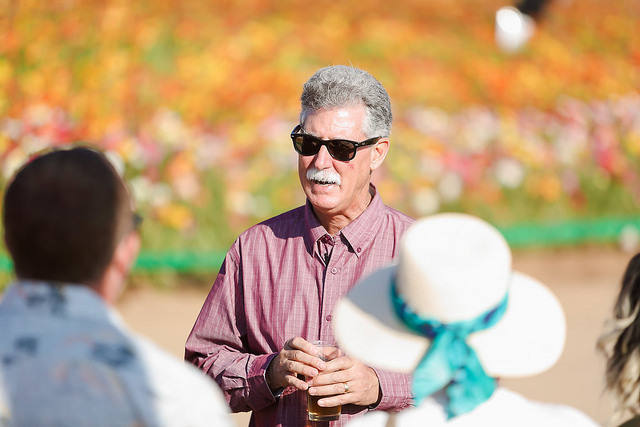 Flower farmer Mike Anthony Mellano of Mellano & Company provided a special group of guests with a bonus farm tour that took people through the 50-acre farm as Mellano explained the growing process and his love for flower farming. Mellano highlighted the unique and very special relationship his family has with the Ecke family, and how their partnership has worked to produce such a special farm for the public to experience and enjoy. 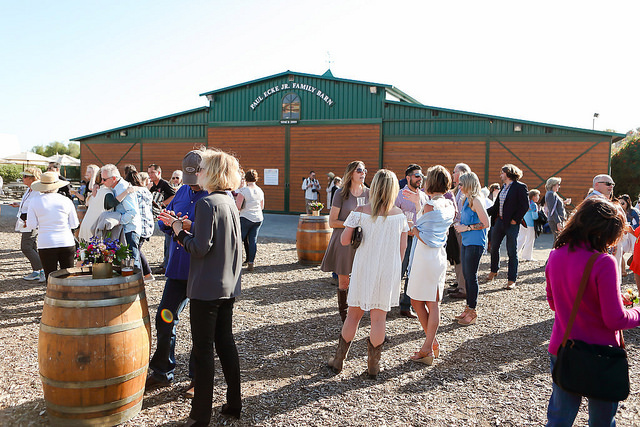 Certified American Grown’s Administrator Kasey Cronquist kicked-off the evening’s festivities by welcoming guests to a reception in front of the Paul Ecke Jr. Barn where they were treated to passed appetizers, wine from the Wine Militia and beer from Oceanside’s Legacy Brewery. Guests were also invited to try their hand at the self-serve “boutonniere bar” before heading up to the table in the middle of the beautiful ranunculus. As the sun set over the Pacific Ocean and conversations between friends and new friends continued, you couldn’t help but bask in the appreciation of why origin matters. Next up, the American Grown Field to Vase Dinner Tour heads to Destiny Hill Farm in Washington, Pennsylvania, on June 24. 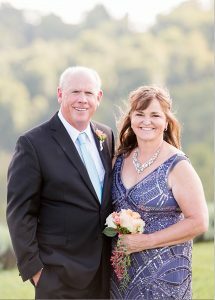 Guests will meet flower farmers Jim and Nancy Cameron who transformed their family’s farm into a lush lavender, cut flower and berry farm in 2011 and became a Certified American Grown flower farm in 2014. Save your seat for this dinner and enjoy an artisanal meal surrounded by wildly fragrant lavender and flower aficionados like yourself while learning about the value of Certified American Grown Flowers. 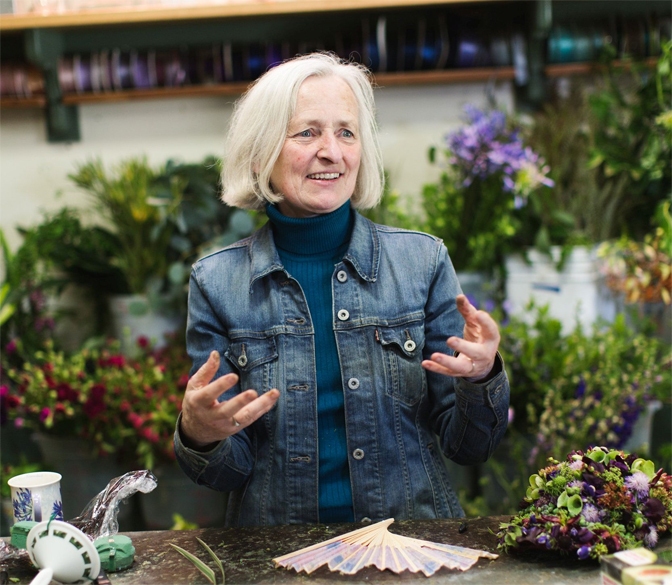 Floral designer Francoise Weeks of European Floral Design plans to adorn the dining table with woodland-inspired centerpieces featuring branches, buds, seedpods, succulents, herbs and seasonal flowers. Known for her unique use of floral materials and awe-inspiring designs, Francoise’s global perspective will elevate this event to a new level. If you’d like to learn more about the growing process behind the fields of lavender you don’t want to miss the added VIP Farm Tour with flower farmer Jim Cameron. The tour is an exclusive opportunity for just 20 guests to join Cameron for an hour-long tour of their incredible lavender fields, barn and property. The extended tour will take place prior to the start of the dinner event and includes a VIP reception. Make it a complete floral experience by participating in a hands-on design workshop with Weeks where you will learn more about her beautiful and unique style. These sessions begin Friday, June 23 and continue on Saturday, June 24, prior to the dinner. 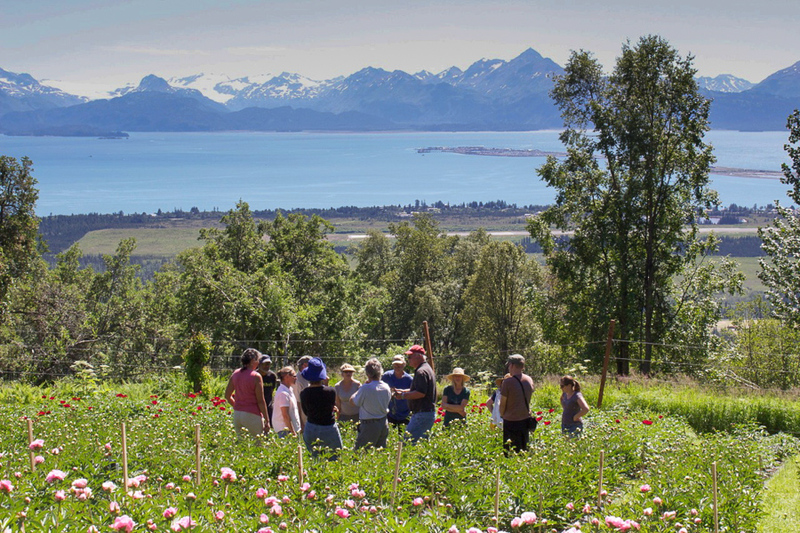 After we dine among the lavender fields, the tour is off to Homer, Alaska, for the experience of a lifetime in the Alaskan peony fields. 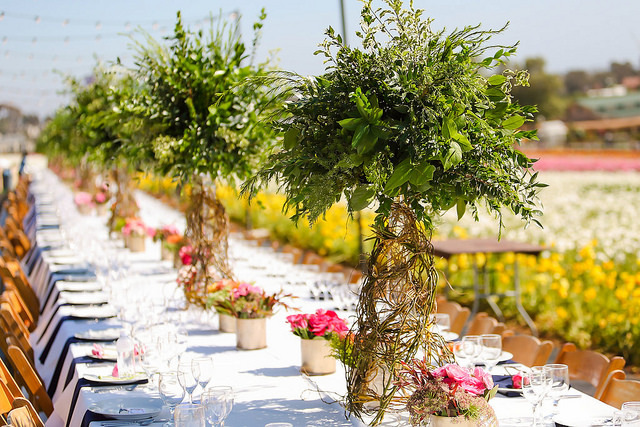 Guests will enjoy gorgeous vistas as far as the eye can see while surrounded by fragrant peonies in every color at this Field to Vase Dinner. Diners will be captivated by the floral designs of Ariella Chezar, florist, farmer and author of “Flowers for the Table” and the upcoming book “The Flower Workshop.”Ariella specializes in using flowers from her farm in upstate New York and she’ll bring her signature style – loose, wild and playful – to floral designs that showcase the striking Alaskan peony. And you won’t want to miss the added VIP Farm Tour, an exclusive opportunity for 20 guests to join the flower farmers for an hour-long tour of the family farm. This extra extended tour will take place prior to the start of the event and includes a VIP reception. 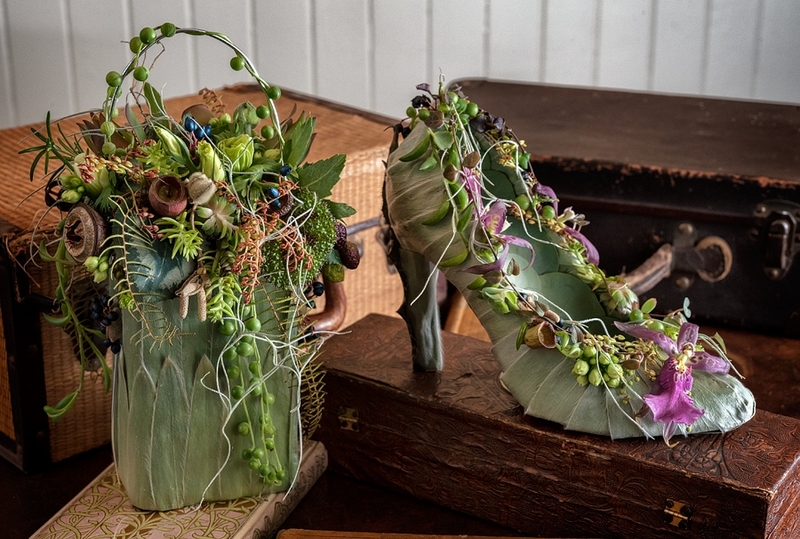 Make your travel to Alaska complete with a two-day floral workshop. Be inspired by Chezar as you join her in a breath-taking location for her hands-on design workshop. Sessions begin Friday, July 28 and continue on Saturday, July 29, prior to the dinner.